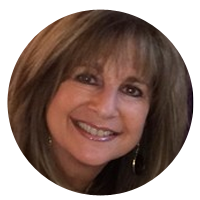 Linda is an experienced brand marketer with a very different approach then most in the promotional products industry. Since 2004, she, like most people in the industry, had been selling promotional products. But when she realized that pushing catalogues, selling the ‘trendy’ item and giving the best price were NOT the key factors in elevating her client’s brand and meeting their marketing goals, she knew it was time to differentiate. Linda wanted to provide strategic & targeted marketing campaigns that would help DIFFERENTIATE her clients from their competition and give them the BEST RETURN ON THEIR INVESTMENT. In 2010, Innovative Promotional Concepts was established with the goal of becoming a strategic marketing partner delivering measured results. With her business and management skills, along with the resources and collective experience of Innovative Promotional Concept’s team of professionals, she quickly began to provide her clients with many benefits that other promotional marketing companies don’t offer. Linda has two Masters Degrees and Certifications in the health field - Speech Pathology and Audiology, and was the director of a clinic for several years overseeing the development and implentation of clinical programs, employees and writing grants. Once Linda ventured into the business world, she was in Operations and Business Development for over a 20 year span. Then Linda combined her interest in Health and Business as the Founder/President of a Non-Profit Organization called the Cardiac Arrest Survivor Network. This organization provided support to cardiac arrest survivors, their families, and the medical professionals trying to help these survivors at a time when Public Access Defribillation was just starting to save lives of people experiencing cardiac arrests. Linda brings to the table many years of experience in management, operations and program development in the health, education and business fields giving her an understanding and capability of how to reach for, and create success. Innovative Promotional Concepts is proud to have Cliff Quicksell as part of their team bringing years of experience and a level of BRILLIANCE in terms of creativity, engagement and strategic marketing. When it comes to brand marketing, our clients benefit greatly from Cliff’s expertise and insight! Cliff Quicksell, Jr., MAS+, MASI has been involved in the promotional products and sportswear industries for over thirty-eight years. For more than thirty years, Cliff has been speaking, training and consulting internationally to associations and national business groups on more effective ways to market themselves, their products and services through high level engagement. Cliff has been the proud recipient of numerous awards. Recognized by PPAI for creativity, he has won the prestigious PPAI Golden Pyramid award 27 times and the Printing Industry PSDA’s Peak Award for creativity 5 times in three years. He has also received PPAI’s Ambassador Speaker of the Year Award six consecutive years. In 1997 he was the inaugural recipient of PPAI’s Distinguished Service Award. In 2001, Cliff was named one of top six industry speakers and trainers and continues be one of the most sought-after international speakers. 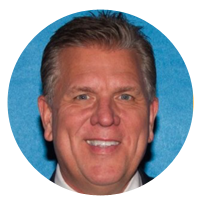 Too, Cliff has been recognized by Counselor Magazine as one of the TOP 50 Most influential People in the Promotional Products Industry and most recently, he was identified in an article by Promo Marketing as one of the TOP 18 as a Top Influencer in the Promotional Products Industry.